Ammi-Joan Paquette is somewhat of a wonder. Not only is she a top literary agent for the children’s market (which includes books for ages 0-18), but Joan is also an author herself! She has no less than FOUR books being published in 2013, and has three other books already on the shelves. 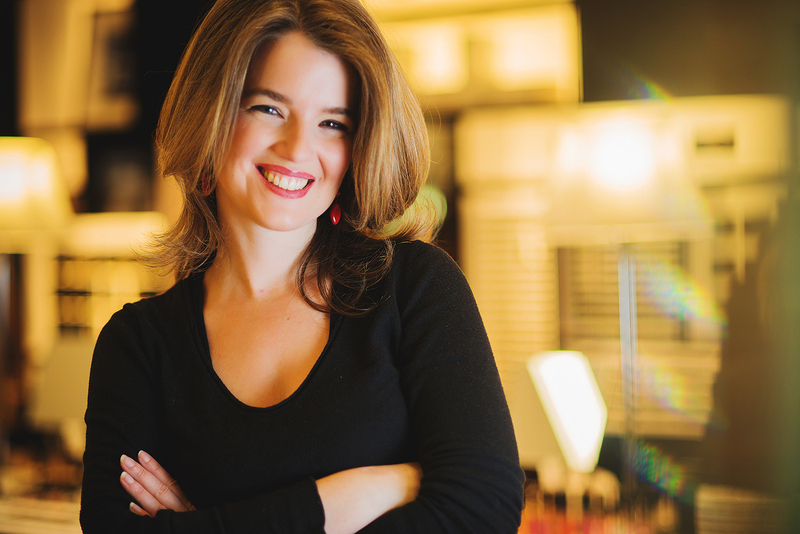 Amy Finnegan: I read on your blog, ajpaquette.com, that you started writing at a very young age—creating notebooks full of stories with your sister. Will you please tell us more about this (and feel free to elaborate on the stories!)? AF: You’ve continued to be attracted to the children’s market as an adult. What is it that draws you to the genre as a whole? AF: I’ve gotta ask this (spooky) question! Today is the release date for two of your newest books, a middle grade novel, RULES FOR GHOSTING, and a picture book, GHOST IN THE HOUSE. So . . . what sparked this fascination with the great beyond? AJP: I’ve always been a big fan of speculative fiction as a reader, so I think it’s not surprising that that’s reflected in my writing material as well. I do think it’s funny that not only do I have two books about ghosts coming out, but that they are also being released on the same day. I guess it’s time for me to shine the spotlight on the mysterious, hmmm? AF: According to data available on Publishers Marketplace, and gathered by kathytemean.wordpress.com, you are currently ranked as the second highest selling literary agent in the children’s market! (Umm . . . WOW!) So I’m sure the writers who read this blog would like to know about the agent side of your life. Can you please share a bit about the Erin Murphy Literary Agency, the type of manuscripts you’re attracted to, and what process a writer would need to follow if he or she wanted to submit a manuscript to you? AJP: Aw, thank you! Well, unfortunately the EMLA agency is closed to general submissions, so the best way to get into my submission pile is to attend a conference at which I’m presenting. I do travel quite extensively, so hopefully I will soon find myself in an area near you! In general, I’m drawn to sharply rendered characters with a compelling voice and a plot that feels tight and fast-paced. I love rich language and books that feel like they will stand the test of time. I’m not opposed to commercial books, but for me there needs to be something beyond the quick superficial read; some deeper or thought-provoking element that calls me back to the story long after I’ve put it down. Also: I love to be surprised; if your story takes unexpected or unpredictable turns, or plays with structure or story in some unusual way, I am likely to be hooked! Thank you, Joan, for joining us on Bookshop Talk! As a special surprise for our readers, we’re hosting a GIVEAWAY to win one of Joan’s books! Winners will be announced here on Bookshop Talk July 17th, so be sure to check the site that day. 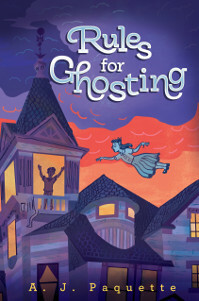 RULES FOR GHOSTING: The ghostly adventures of twelve-year-old Dahlia, along with her new living friends Oliver and Poppy, as they dodge a creepy Ghosterminator, a town official with devious plans, and set about solving the mystery of Dahlia’s death—before it’s too late. 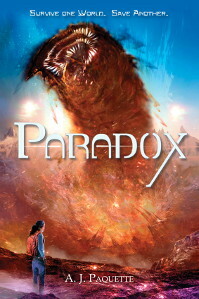 PARADOX: She wakes up in a rocket on an alien planet with no idea who she is, or where, or why. The letter in her pocket gives her one simple message: “Experience. Discover. Survive.” The timer on her wrist is counting down to zero. And the earth-shaking rumble in the distance sends the clear message: Something is coming. If you like your science fiction fast-paced and your main character conflicted, get ready for a plot-twisting, mind-bending read like no other! NOWHERE GIRL: Thirteen-year-old Luchi is anything but an ordinary American teenager. Born in a remote country prison in Northern Thailand, her mother's death pushes Luchi into the outside world--and into the web of secrets that was her mother's past. A coming-of-age story that follows a compelling character on her journey across continents, and oceans, and into a future she cannot begin to imagine. 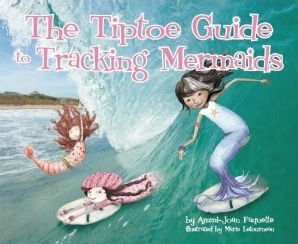 THE TIPTOE GUIDE TO TRACKING MERMAIDS: A walk by the seashore might be nothing more than the start of an ordinary day. Or… it could be the beginning of something magical! Will you come along and see? 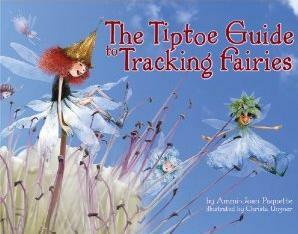 THE TIPTOE GUIDE TO TRACKING FAIRIES: The sun is shining. The birds are singing. It's a perfect day for... tracking fairies! Join our intrepid narrators as they follow a series of backyard clues, getting closer and closer to their magical friends. You too can learn to see the world through fairy-tinted glasses. 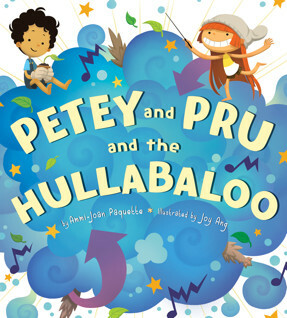 (Launching Oct 2013 - available for pre-order) PETEY AND PRU AND THE HULLABALOO: Petey is in the mood for some peace and quiet. But Pru is feeling tricksy. One good prank deserves another, but when the cats start wailing and the plants go flying, who do you suppose will come out on top? This is such a great interview, Amy and Ammi-Joan! Thanks so much for sharing it on Bookshop Talk. Ammi-Joan, congratulations on the release of two new books! They sound wonderful, as do your other books. My young daughters love almost-spooky stories, so I know they'd especially love your GHOST IN THE HOUSE. Thanks for a fun and informative interview, Amy and Joan! 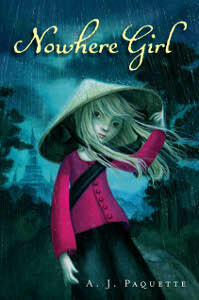 Nowhere Girl sounds like a fun summer read forr my daughter and I. How delightful to hear from a combo author and agent. Your books look amazing; must make a run to the library! This is an awesome interview, and I love Joan's new profile pic! I heard Joan speak at a conference once, and she's such a nice lady. Fabulous interview!! Thanks Amy and Joan! Congrats on your success as a kid lit author and agent! Great thoughts on why children's literature is so compelling. Can't wait to find these new titles. Congrats! Love AJP and look forward to sharing more of her titles with my third graders. Thanks for the awesome interview. I just got paradox out of my local library and I can't wait to read it! thanks for introducing us to Joan! i can't wait to head to the library with my girls - every book looks fantastic! i have two mermaids living at my house, so we'll definitely be reading that one asap! I love that Ms. Paquette used to hand-write on paper, and staple it together, because I used to do that ALL THE TIME. So much fun! Alexa Kaufhold is our WINNER!! 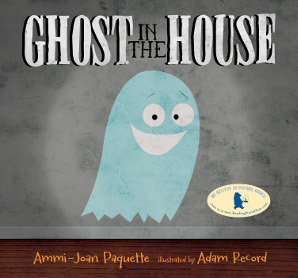 Your name was chosen to win one of Ammi-Joan Paquette's books!! Congratulations! Which one do you want?!? Contact us at BookshopTalk@gmail.com.